I just completed another wedding today which was held at Seven Bridges Golf Club in Woodridge, IL. The couple, Kanako and Tasin, chose red, white and black for their wedding colors and everything turned out perfectly! See more photos on my flickr page HERE! 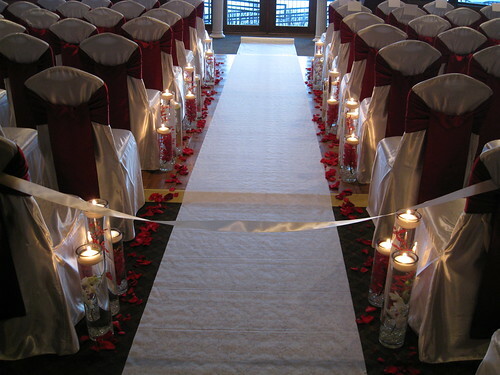 It really made for a beautiful ambiance…candles do so much! !